About ACE | ACE Packaging & Crating, Inc. ACE Packaging & Crating, Inc. has been serving the needs of New England and beyond since the 1960’s. That’s experience. As a small family owned business, we focus on your needs. The result is a customized economical solution, when you need it. 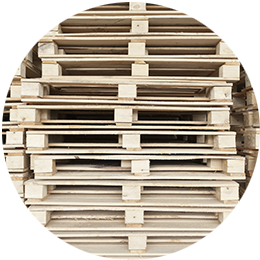 Our specialty is single or short run wood/plywood crates and boxes. We even custom make D/W (double wall – 275#) corrugated boxes. Many of our customers have been doing business with us for years. Perhaps it’s because they can speak directly to the person building their container. There’s no middle person to misinterpret needs or add to cost. Or perhaps it’s because they can get what they need in a matter of days, sometimes hours, rather than weeks. Or perhaps, like you, they recognize REAL service and value. Need extra protection for your item? We can provide necessary shock and vibration protection through the appropriate use of foam and or “Skid Mates”. Monitoring can even be provided during shipment using “Shock Watch” indicators. Whether your item is high or low value, rugged or fragile, domestic or export, we can custom build the necessary wood, corrugated, or a combination thereof, container for you. For fastest service, call us toll free anytime at 800-975-6642. © 2019 ACE Packaging & Crating, Inc. All Rights Reserved.